As noted in a previous article, China is ticking all the boxes on its path to war. China has a new plan of attack in the South China Sea: espionage. 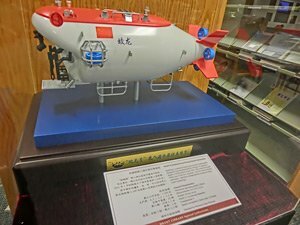 This morning, Beijing declared its new “invisible sub” primed and ready for its first official post-trial phase “research” mission. The sub is called the Jiaolong – named for a mythical sea creature – and its alleged purpose is to collect deep-sea samples of sediment, rock, and water for scientific research. But the difficult-to-see, deep-water probe is now headed from the South China Sea to the East China Sea – a route that has raised some eyebrows among defense analysts and maritime law experts. OKINAWA-While the world watches mounting military tensions in the South China Sea, another, more ominous situation is brewing in the East China Sea that could be the trigger point for a major war between the superpowers. At the heart of tensions are eight uninhabited islands controlled by Japan that are close to important shipping lanes, rich fishing grounds and potential oil and gas reserves. 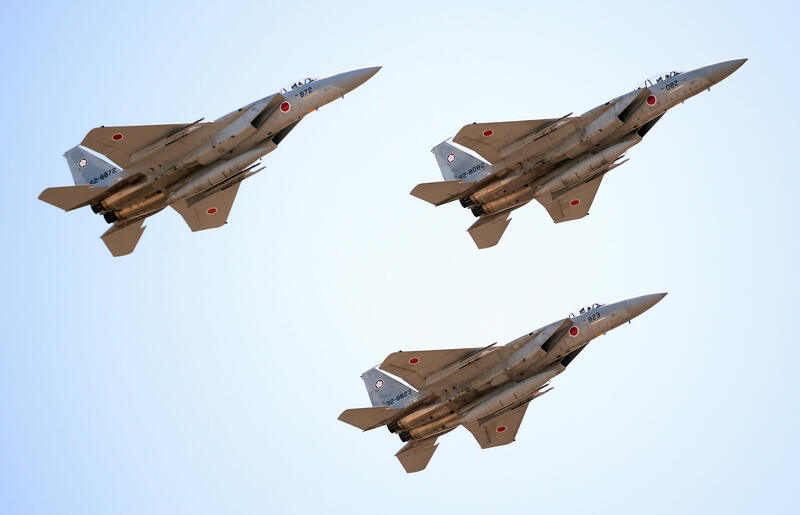 China contests Japan’s claims and is escalating its military activity in Japan airspace. In response, Japan has been doubling its F-15 jet intercepts. TOKYO — The Philippines’ newly found affection for China has sparked concern in Japan that it would embolden the Asian giant to expand more aggressively in the South China Sea. Japan has worked with the U.S. and others to pressure China to accept an international arbitration ruling in July that rejected Beijing’s claims in the South China Sea. The ruling involved a case brought by the Philippines, but Manila has downplayed the decision in its favor. Japan’s defense ministry on Wednesday asked for a hike in spending to record levels, as it juggles its responses to a growing ballistic missile threat from North Korea and China’s assertive moves in the East China Sea. A Maritime Self-Defense Force flotilla of three ships arrived in the Philippines early Sunday on a goodwill visit — the first to include a Japanese submarine in 15 years — amid China’s growing assertiveness in the region. The new Japan Self-Defense Forces base is on the island of Yonaguni, about 150 kilometers (90 miles) south of the disputed islands known as the Senkaku islands in Japan and the Diaoyu in China. Since all members of the Association of Southeast Asian Nations have deep economic connections with China, including those like Vietnam and the Philippines which have conflicting claims in the South China Sea, they are unlikely to support an escalation of conflict between Beijing and Washington over these claims, according to the article. Sun Jianguo, the head of People’s Liberation Army’s delegation to the recent Shangri-La Dialogue in Singapore said China will try its best to maintain peaceful and friendly relationship with Southeast Asian states. President Obama on Tuesday invoked U.S. military defense guarantees for Japan’s disputed East China Sea islands that have been the target of coordinated Chinese military provocations since 2012. Japan could go nuclear in three months if it wished. All it has to do is snap the parts together that it likely already has ready. Limited by military restrictions since the end of World War II, the Japanese parliament is now considering new guidelines which would allow it to expand further into international waters. The move is fully supported by the US, which hopes Japan can play a larger role in curtailing a growing Chinese influence. Recent satellite photos of an island off the coast of China confirm Beijing’s buildup of military forces within attack range of Japan’s Senkaku islands. 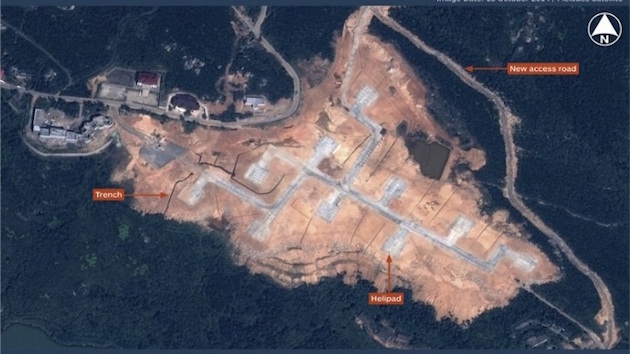 The imagery, obtained from the Airbus Defense and Space-owned Pleaides satellite, reveals China is constructing an airfield with 10 landing pads for helicopters on Nanji Island. Military analysts said the new military base appears to be preparation by the Chinese People’s Liberation Army for an attack or seizure of the Senkakus. “China’s new heli-base on Nanji Island demonstrates that the PLA is preparing for an offensive military operation against the Senkaku/Daiyoutai Islands,” said Rick Fisher, a senior fellow with the International Assessment and Strategy Center. Since Xi Jinping became China’s top leader, there has been a noticeable change in the country’s foreign policy, according to Duowei News, an outlet run by overseas Chinese. Beijing has implemented a shift in the geopolitical focus of its global strategy, which has seen the relationship with the US and with the European Union displaced as first priority ties for the country. At the same time, China has strengthened its sea power, with many speculating that the power of the PLA Navy is set to overtake that of Japan in 2015. Why Tokyo should be concerned over Beijing’s rising military might. Over the last several years Sino-Japanese relations have reached low after new low—all thanks to claims and counterclaims over the Senkaku islands (China refers to them as the Diaoyu islands). The relationship between the two countries, which had been tepid at best—quickly cooled beginning in 2010 as both sides jockeyed for position over the disputed islands. China’s military is building a large-scale base on islands off the coast of Zhejiang province, stepping closer to the Diaoyu Islands, several Chinese sources said yesterday. Construction is underway in the Nanji Islands, about 90km from southeast of Wenzhou, and about 300km northwest of the Japanese-administered, uninhabited Diaoyus in the East China Sea. Japan calls the Diaoyus the Senkakus. The new base is expected to enhance China’s readiness to respond to potential military crises in the region, as well as strengthen surveillance over the air defence identification zone that it declared over part of the East China Sea in November last year, the sources said.